Before we meet someone for the first time—whether professionally or personally—most of us do what? We look them up online. Same goes for after meeting someone or seeing someone inspiring speak. How people come across to us through Google search and social media platforms directly influences what we think about them and how we engage with them. Over the next few years the amount of information available online about us will only increase, as will the number of people searching for it. The future of work will see businesses rely more and more on individual and organizational online branding to guide decision making. This means today, at this moment, we have an incredible opportunity to build and own our personal brands online. In fact, the skills and relationships they have built networking at conferences, professional associations and the like have set them up well for personal branding in the virtual sphere. Because all the same things matter—relationships, leadership, communication—it’s just the platform that has changed. Jeff Bezos of Amazon notes that “a personal brand is what people say about you when you leave the room.” This is an important distinction: at the end of the day you don’t solely own your personal brand, it gets defined by how you conduct yourself in the digital world, what Google search results say about you, and how others talk about you on social platforms. “If you’re not actively pursuing your brand on social, someone else is, and probably not the way you want to be,” writes Meghan M. Biro, founder and CEO of TalentCulture, in a Forbes’ article on how social media is shaping the future of work. Everything in the digital sphere is amplified: it’s a networking happy hour on steroids. While that can feel intimidating, it’s an incredible opportunity to define “you.” The right personal branding can take your business and career to the next level. Your “why” is your spark. It’s what lights the fire underneath you. And here’s the important thing: it does NOT need to be directly tied to your profession or current job. Ask yourself: What are you passionate about? When life gets crazy, what pieces of me do I refuse to let go of? Your brand is all about the real you: no impersonations. So, you must come across as “real” in all your posts and interactions. Remember the “real” world networking event? The person you bring to that event you need to bring online. “It’s important that you don’t try to be something entirely new just because you’re using a ‘different’ channel,” advises Georgia Hatton, a strategist at CAB Studios in a piece about brand authenticity. Being authentic humanizes your content and communications, and, bonus, it’s a lot less work too! Engagement is where the magic happens. When individuals have true, honest, passionate interactions, we move from simply posting content to creating conversations, shaping ideas and provoking thought. On social platforms it manifests as “likes” “shares” “comments” and “retweets”, with the emphasis on conversation. And it means way more than the number of followers you have. “Let’s say you have 80,000 fans. If you post something and it gets zero engagement, your followers have zero value,” points out Joe Escobido, a leading content marketer and personal branding consultant. While that may sound harsh, it’s also an opportunity to build relationships with your community. No matter what we call the future of work—the gig economy, the fourth industrial revolution, globalization—building and protecting our brands is an essential skill. 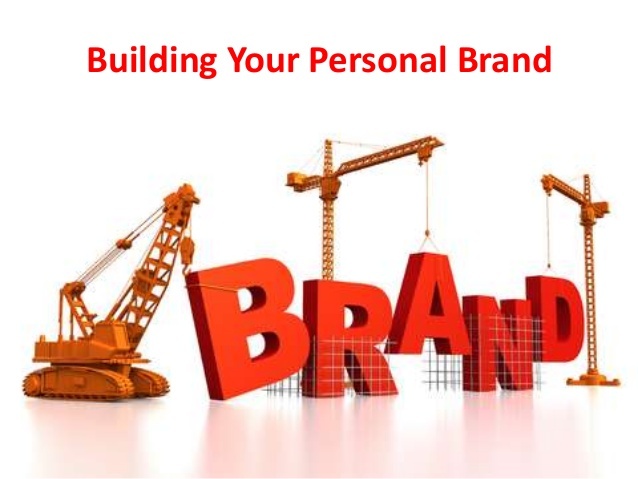 Personal branding in the digital sphere is an authentic online display of YOU, combining elements of your professional and personal self. Remember, we all make decisions based on what we see and hear. An absent or outdated online presence will influence how people think and act towards you.